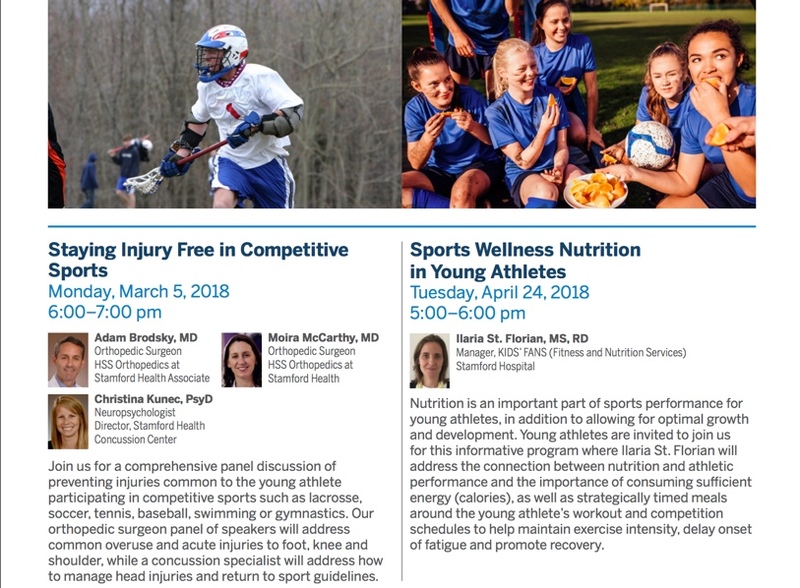 HSS Orthopedics at Stamford Health is a proud sponsor of Wilton Soccer Association this season and is offering a free seminar for all parents and coaches on Staying Injury Free in Competitive Sports. The seminar will be Monday, March 5th from 6 -7 pm at Chelsea Piers. Please see the attached flyer for more information regarding the topic, location, and presenters!